Thousands of accountants have come to us for marketing help over the years. Do any of these issues sound like your situation? If at least one of these is true for you, then you’ve found the answers. This all-new webinar series will help you get higher quality clients in the door faster and more effectively than ever before. In this course, we’ll provide the answers to all of the above issues and how to tackle them. We’ll set expectations, build your marketing skills, and show you exactly how to spend on marketing that will get you to the goals you have for revenue and client acquisition. And we’ll do it all in three easy steps. There is a counter-intuitive “secret” formula to marketing success, and we’ll share what it is in this course. 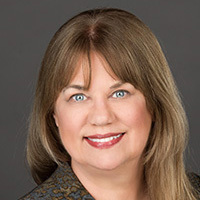 Sandi Leyva, CPA, CMA, MBA, and founder of Accountant’s Accelerator, has helped thousands of accounting professionals earn more, work less, and serve their clients better through her innovative marketing, training, and coaching services. Her marketing formula has generated millions of dollars for her clients. Author of 30 books and hundreds of CPE courses, Sandi has won 12 awards for her thought leadership, including Top 25 Most Powerful Women in Accounting by CPA Practice Advisor, a Stevie Award for “Maverick of the Year,” and 2017 Top 50 Women in Accounting by Practice Ignition. Sandi’s business experience includes management time at two Fortune 500 companies and serial entrepreneurship including running her CPA firm. She has served on several AICPA committees and volunteered on four continents. One of the few women in the world who has copiloted a single-engine airplane around the world, Sandi has also backpacked alone around the world, visited over 100 countries, and earned a master’s degree in neuroscience.